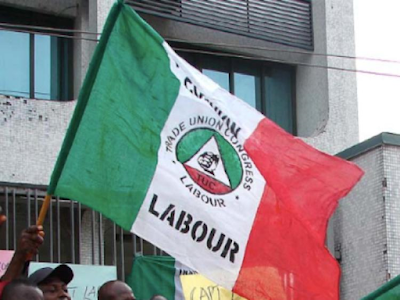 Official: NLC to Begin Nationwide strike Tomorrow, See why! NLC to Begin Nationwide strike Tomorrow. IT has been confirmed by the National Labor Congress spokesman that the planned Indefinite strike by the NLC and TUC over Fuel Hike will proceed tomorrow. The workers’ action,according to Vanguard source, is to take effect from 12 midnight today. This was the resolution of the union at its National Executive Council, NEC meeting, held today,at the NLC headquarters in Abuja. Although,newsmen, who waited anxiously to be briefed of the development at the meeting,were left unattended to,a source told Vanguard that the workers’ unions resolved to proceed on an indefinite strike,beginning from 12 midnight. The source said the unions took the decision to mobilise workers on strike,after exhaustive deliberations on last week’s fuel hike by the federal government and the attendant consequences on the Nigerian workers and the general public. “Our decision not to suspend the strike was further fuelled by today’s injunction by the Industrial Court,restraining us from proceeding on the strike expected to begin tomorrow,”the source who said. He disclosed that the two bodies were still studying development and may not honour the meeting expected with the government at the office of the Secretary to the Government of the Federation this evening. Vanguard gathered that the factional NLC,led by the General Secretary of the National Union of Electricity Employees,Joe Ajaero, may not join the strike. He had hinted yesterday that his leadership was not favourably disposed to embarking on the strike. As at the time of filing this report, the leadership of the NLC and the TUC were yet to turn up for continuation of the meeting which was adjourned earlier.